The project to build a jet fighter began in August 1940. Designed by George Carter at the Gloster Aircraft Company, eight prototypes of the Gloster Meteor Mk. I were produced over the next four years. Eventually it was decided to use the turbojet designed by Frank Whittle. The Gloster Meteor Mk. I made its first flight on 15th May, 1941. It had a maximum speed of 415 mph (667 km) and had a range of 1,340 miles (2,156 km). It was 41 ft 3 in (12.58 m) long with a wingspan of 43 ft (13.11 m) and armed with four 20 mm cannons. The first 20 aircraft were delivered to the Royal Air Force in June 1944. The Gloster Meteor Mk. 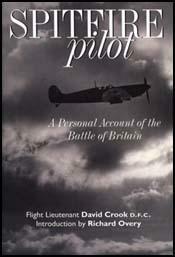 I saw action for the first time on 27th July, 1944 against the V1 Flying Bomb. The Gloster Meteor Mk. III first appeared in January 1945 and took part in missions over Nazi Germany. However, by this time the Luftwaffe had been virtually destroyed and it never met the leading German fighters in combat.